I saw a patient with a cough this week. That’s not too unusual, as a GP. In this case my patient told me “I think it’s my asthma come back.” She’d had asthma as a child, and for some reason it was back now in her mid-20s. The trigger wasn’t clear. Coughs are often fairly minor illnesses, but they cause great distress. They may be seen in children, keeping whole families awake at night. They may be seen in older people, with lung damage from long periods of smoking or exposure to dust through work. Sometimes they are markers of serious disease. And sometimes, they are caused by coal mining. Of course, I can’t be certain that my patient’s return of her asthma is a result of coal mining. The evidence shows, though, that coal mining will make many people have worsening asthma, and that it will mean more people end up in hospital with respiratory problems. Let’s be clear: there is no debate about the detrimental health effects of mining coal. We’ve known about it for many years. There has been research published in the Medical Journal of Australia showing the adverse health effects, while the Climate Council and 27 health organisations have published a joint statement based on the evidence. Even the NSW Government put out a nice glossy pamphlet for people called Mine Dust and You which cheerily sets out some of the health effects, and suggests that those affected should see their GP. I can offer my patients treatment and advice. But I can’t change the air that they breathe at home or the water that they drink. They can’t choose a different air supply. When this is what is harming them, there’s very little I or any other doctor can do. But this is exactly the situation with the energy policies of both Labor and Liberals, both of whom seem committed to expanding coal mining in the state. Coal mining affects us all – especially our children and elderly people- through air pollution, and, because we burn the coal we dig up, worsening global warming. Coal mining is bad for communities near the mines. A Sydney University report showed that these communities have higher rates of a wide range of conditions, such as lung damage, cancers and kidney disease. Children are not immune from these problems, having higher rates of breathing problems and higher levels of toxic heavy metals in their blood. These are not abstract problems. They stop people working, helping out family, volunteering and as more needs to be spent on hospital care they increase costs to the taxpayer. Every time we dig 1500 tonnes of coal out of the ground, we put 1% more people in hospital for chronic lung disease. It’s becoming increasingly clear from recent decisions – the approval of the Shenhua mine near the prime agricultural land of the Liverpool Plains; the suggestion that Bulga Village could be moved to make way for a mine expansion; and the land obtained by FOI to massively expand coal mining in the Hunter Valley – that the actions of the NSW government show little concern for air pollution which harms local communities and the ALP opposition isn’t doing much opposing of this. Coal has another ugly side- climate change, which the prestigious medical journal the Lancet has called “The biggest global health threat of the 21st century.” Burning the coal contributes to an increasingly unstable climate. 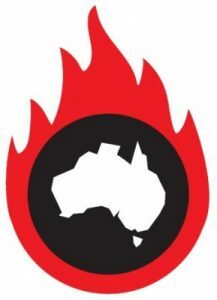 We have recently seen the effects with cyclones in Vanuatu, Northern Queensland and the Northern Territory, as well as flooding in Brisbane and severe bush fires in several states. The NSW government’s own predictions show that our state can expect to have up to 10-20 extra hot days each year, which are known to result in deaths from heart and respiratory disease, and result in more hospital admissions. Rainfall is expected to decrease in spring and increase in autumn in NSW with effects on agriculture and increased likelihood of flooding. Flooding, of course, results in death from drowning, and also waterborne diseases in the aftermath. Finally, the NSW government predicts increased average and high fire danger days, extending into spring and autumn. More bush fires mean more people in hospital with breathing problems. Research published in the journal Nature shows that Australia needs to keep 90% of its current coal reserves in the ground if we are to have any chance of keeping within the limit of a 2C average global temperature rise. Our political leaders have enormous power to make a difference, and can ensure everyone in NSW has access to clean air, water and food. Doing this will result in healthier people and fewer hospital admissions. But to date, the NSW government and Opposition have put health second and given priority to coal mining vested interests in the false belief that this will bring money and prosperity to the people of NSW. On Saturday we have a way of sending a message to put health first, using our vote. I urge you to use it. 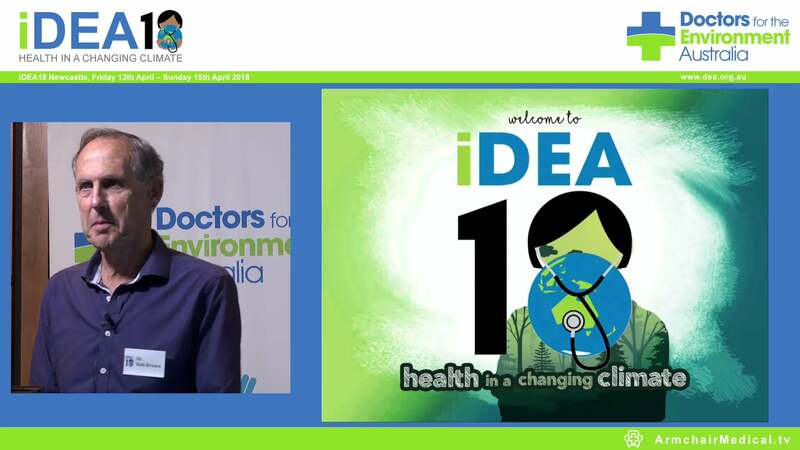 Dr Tim Senior is a member of Doctors for the Environment Australia who works in an Aboriginal Medical Service in South West Sydney. He is a regular writer for Croakey, the Crikey Health blog, and for the British Journal of General Practice. He won the inaugural Gavin Mooney Essay Prize for Climate Change and Equity: Who’s Language is it anyway?